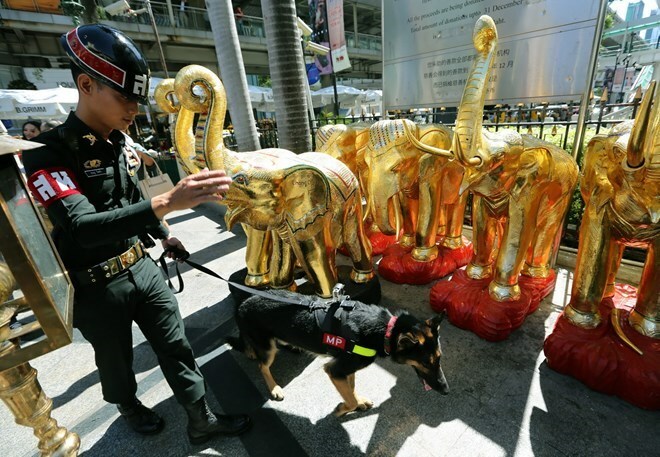 Bangkok (VNA) – Thai authorities have taken measures to tighten security in the fear of reprisal attacks ahead of the two-year anniversary of the Erawan shrine bomb blast in Bangkok, Thailand. The army and police were ordered to keep a close eye on any moves of the extremist forces, particularly the Uighur network due to a theory that the Uighur people were involved in the bomb attack on August 17, 2015, as a result of the Thai government's decision to arrest and deport hundreds of Uighur ethnic minority. Supervision and monitoring work at border gates have been strengthened to prevent extremists, particularly members of the self-claimed Islamic State (IS) to enter the country. Militants in the south of Thailand have also been subject to close watch. Numerous bombing attacks have occurred in Thailand since August 2015, including the Erawan shrine bomb blast, killing 20; and a series of explosions in August 2016 in tourism destinations across seven southern provinces of Thailand.